What is a Fully Serviced Caravan/Motorhome Pitch? When it comes to caravan/motorhome pitches the ‘top of the line’ is a fully serviced pitch. But what exactly is included and how do you take full advantage of the facilties? What is a Fully Serviced Pitch? A fully serviced pitch should provide an electrical connection, fresh water and wastewater (grey water) connection. You will require either an Aquaroll mains water adapter kit/float valve or a mains water connection directly to your caravan/motorhome. You may also need a drain adapter depending on the design of the fully serviced pitch. We provide two mains water taps for each caravan/motorhome pitch. As part of the fully serviced pitch you should be provided with a dedicated mains water tap. 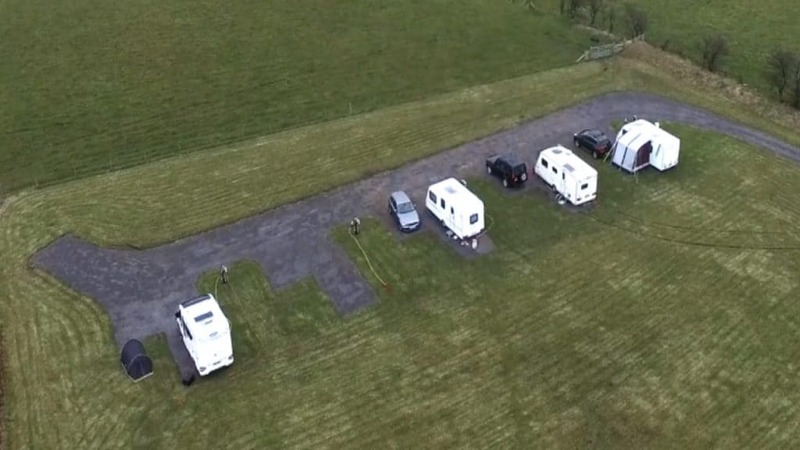 At Horton Common we have provided each pitch with two taps, one for a permanent connection to your caravan or motorhome. The other available tap is so users can fill up separate drinking water containers without the need to disconnect the hose from the permanent connection topping up the Aquaroll/Waterhog. Tip: Make sure to buy a good quality mains water adaptor kit to avoid leaks! To take full advantage of a fully serviced pitch without having to manually move the Aquaroll/Waterhog to the mains tap when empty you will require a mains water adapter kit. The kits commonly include a length of food grade hose, a float valve and the various tap connections. There are many places online which sell these kits, however, I would avoid most of the cheapest kits as the quality of the plastic pipe/fittings tends to be very low quality. You also want to look for kits that provide a good length of hose, ideally between 5-10m. 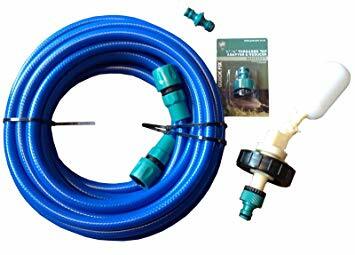 A good quality mains water adapter kit will provide a leak-free connection to keep your Aquaroll/Waterhog topped up. Therefore, for the rest of your holiday, you won’t need to worry about filling up with fresh water! 🙂 So that’s one job taken care of, now what about taking the hassle out of dealing with wastewater? With a Fully Serviced Pitch you can leave your Wastemaster at home! So part of a fully serviced pitch for your caravan or motorhome is the benefit of not having to deal with wastewater. You shouldn’t have to be dealing with your Wastemaster on a fully serviced pitch. In fact, many visitors to Horton Common actually leave their Wastemaster at home! It saves them space in their van as they know their not going to need it. When we set up Horton Common we looked at the fully serviced pitches on other caravan/motorhome sites and we noticed a problem. They all provided a drain but no means for their visitors to actually use it! Therefore a visitor would need to carry long lengths of drain pipe with them. Furthermore, caravans and motorhomes can have drains on the left, right or rear of the van. So there can be no ‘recommend length’ of drain pipe to bring. So with the above in mind, we thought, ‘how can we solve this problem?’. How can we provide a fully serviced pitch to everyone and not require our guests to bring their own drain? Our solution was to bring the drain to the caravan/motorhome. A quick DIY job using commercial hosepipe, plumbing fittings and some trough planters from the garden centre and we had our solution! Our solution for wastewater removal from our fully serviced pitches. We have provided this wastewater solution to our guest since 2014, and it still gets many positive comments, even from repeat visitors. 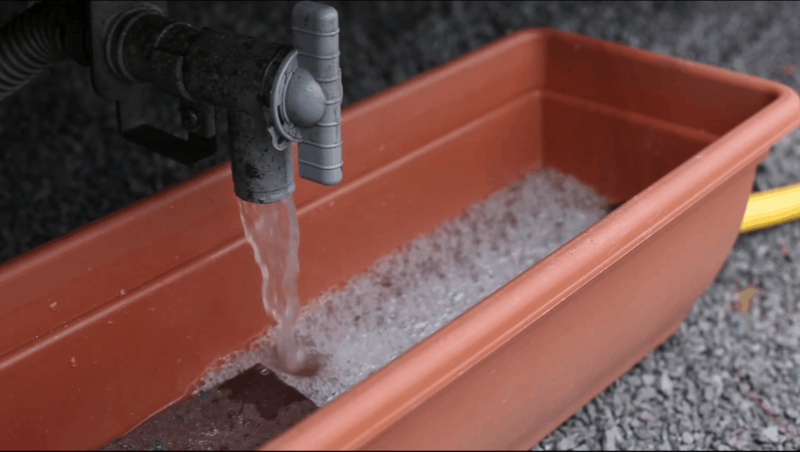 It’s solved the problem of wastewater removal completely, and it doesn’t matter where on the caravan/motorhome the wastewater comes out. Does the Fully Serviced Pitch have a 16A Electrical Connection? 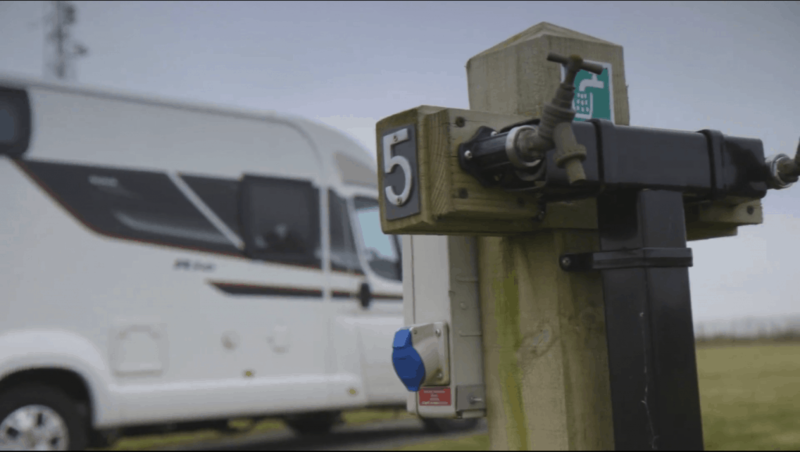 While many caravan and motorhome sites provide an electrical connection to their pitches, its always worth checking how much power they actually provide. As you may know, in Europe many of the pitches are 10A, with some even as low as 6A. The number of amps (A) available will dictate how many electrical facilities you can run in your van at the same time, if at all. Its always recommended to use a camping kettle, but on a 6A connection, even camping kettle may cause the power to trip out. At Horton Common we provide a full 16A of power to each pitch. In fact, unlike most small caravan sites that share an electrical connection with the owner home, Horton Common has a dedicated grid connection. At the start of this post, I stated a fully serviced pitch is ‘top of the line’, well that’s not actually true. 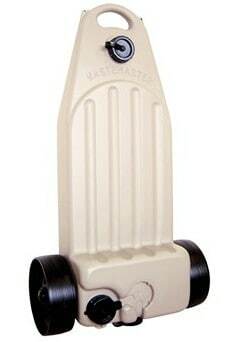 The real top of the line is a hardstanding fully serviced pitch. When we originally set up Horton Common we didn’t have a road and hardstanding pitches. However, after a very wet winter between 2014-2015 it became obvious we needed a solution. Luckly we have a small quarry a few miles away. So several hundred tons of stone later with some granite chippings on top we have our road and hardstanding pitches. It now means no matter how wet it gets our guests caravans/motorhomes and cars won’t have a problem. Thanks for reading this post on ‘what is a fully serviced pitch?’, we hope you found it useful. I’ve also written posts on how to set up a caravan on site for first-timers, and how to level a caravan or motorhome. If you would like to come and stay at Horton Common we provide our pitches for just £15 per night, please click here to find out more. We love this campsite, only a stone's throw from home, well managed, well maintained and fantastic views. Great views. Great site clean and friendly. Good site for visiting different places. Owners very nice. Would definitely go again. WOW, what a view! Stunning little campsite ...very well maintained and incredibly well appointed. Love the waste system...made it that bit easier. Very friendly and helpful owner. Can't wait to return! Friendly welcome from Chris. Great views. Fully serviced pitches. Horton Common : Best CS 2015, Proudly powered by WordPress.